Michael McFadyen's Scuba Diving - Valiant The Valiant was apparently commissioned in 1945 by the Ministery of Munitions. The tug was 22.5 metres long, 5.4 metres wide and displaced 72 tons. A sistership, the Fury, was built at the same time. The Valiant was powered by a Crosley HR4 diesel engine giving a top speed of only 8 knots. I have read that it was purchased in 1978 by a Sydney company and taken to Pittwater on the northern side of Sydney for conversion to a fishing vessel (presumably as a charter vessel to take people out fishing). 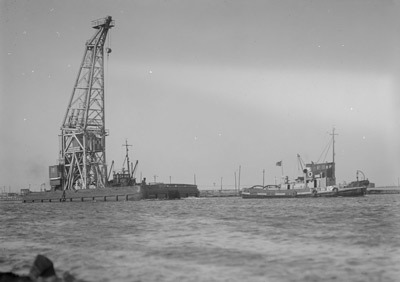 The Valiant was reported to have failed to pass the Maritime Services Board (now NSW Maritime) survey. Another report, says that the vessel was sold in 1980 to David Jackson and taken to Sydney. On the way, there was a fire on board. 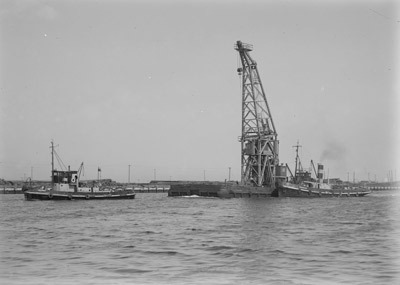 On arriving in Pittwater, the northern boundary of Sydney, there was work done in an attempt to get her in a condition to make the vessel usuable. However, this was beyond Mr Jackson's abilities and it was decided to strip the vessel. Yet one more report says that in 1981 after a complicated series of events while under tow to be scuttled, the tow ropes broke and the Valiant sank approximately one kilometre east of Barrenjoey Head. However, a fourth reports says it sank in 1982 "...about 0.5 km off Palm Beach.....while being towed to its burial at sea.....was a 25m former firefloat......". Yet another report says that when an explosive device was used to remove the prop, the ship started coming apart at the seams. The ship was quickly towed out to sea to be scuttled in deep water but she sank well before reaching the target area. I am not sure what year this was, but I expect that it was 1981. As you can see, its final hours are bathed in mystery. The Valiant is located 1.4 kilometres to the east of the northern-most point of Barrenjoey Headland and 1.0 kilometres to the east-north-east of the eastern-most point. It can be found at GPS Reading 33° 34' 48"S 151° 20' 40"E. Note that all the GPS Readings on my Web Site are taken using AUS66 as the map datum. If you use another datum you may be about 220 metres off the wreck. See my GPS Page for more details and how to convert readings. There used to be a mooring owned by Atlantis Divers on the wreck (they have gone broke and shut down - a pity as under the original owner Mike it was a great operation) and you can use it if it is still there. Even in 1989 when I first dived the Valiant it was covered in marine growths which attract large numbers of fish species. 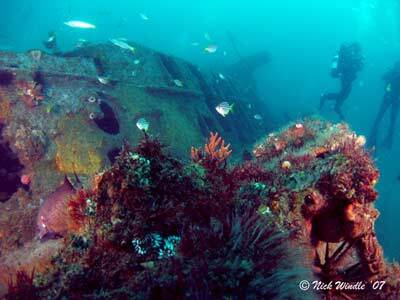 As the photographs accompanying this page show, the colour of the wreck is beautiful. Due to the depth it is advisable to spend only 25 minutes exploring the wreck but this is generally satisfactory as the whole wreck only covers an area of about 156 square metres. 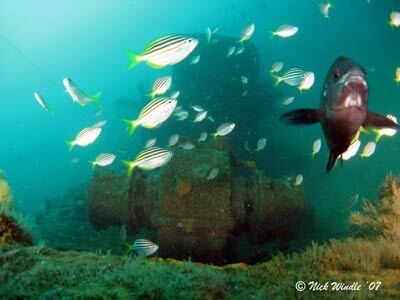 You can swim around and over the wreck as well as exploring the tug's insides. The engine room, cabins, crew quarters and bridge are accessible and well worth examining. A good plan is if you are anchored/moored on the stern, head to the bow along the port (deeper) side. Have a look at the engine room as you pass. You used to be able to enter here, but the last time I dived the wreck it was very full of sand. Once at the bow, head out a bit and look back towards the bridge (as per the photograph above right). Then head to the bridge. This used to be fully intact but is rapidly falling apart. Examine the bridge and the galley/toilet. You used to be able to enter the hold in front of the bridge but even 15 years ago it was a tight squeeze and great care was needed. From here go along the starbaord side towards the stern. You can again look into the engine room and then into the accommodation area. By now it is probably getting close to the time to ascend. 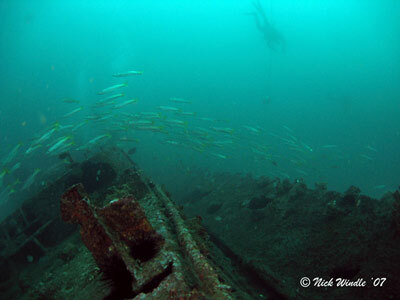 The wreck can have visibility varying from excellent to extremely poor and the surface conditions are not always an indication of what it is like at the bottom. 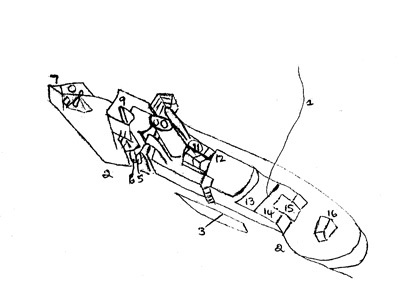 It is also possible to have a tidal current on the wreck, though it does not generally extend past 5 or 10 metres. Fishlife on the wreck include yellowtail, white ear, bream, mado, stripey, black-tipped bullseye, common bullseye, sergeant baker and the occasional yellowtail kingfish. 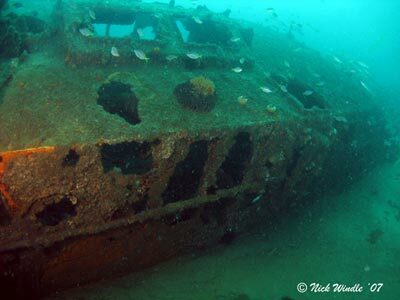 This Sydney shipwreck is an excellent dive for those wishing to do deeper or wreck dives. I am not sure who you can dive this wreck with now that Atlantis Divers no longer exists and another dive charter operator who appeared in about 2008 and disappeared in 2009. You may be able to dive it with Pro Dive if they do dives out of this area. Despite what you may read elsewhere, even in the literature of the (now closed) local dive shop, the correct name of the wreck is Valiant and not Valient.